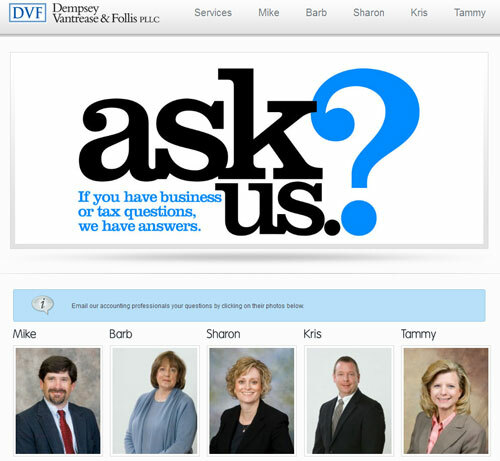 This website allows visitors to “Ask the Experts” at Dempsey, Vantrease, & Follis, PLLC. 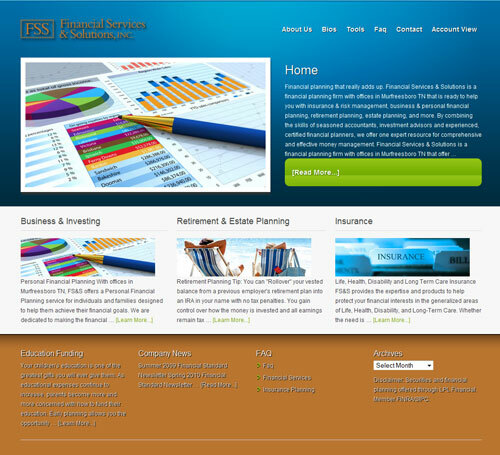 DVF is a Murfreesboro Accounting firm. 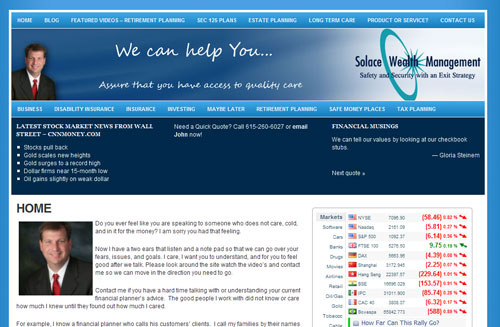 Financial Services & Solutions is a financial planning firm with offices in Murfreesboro TN that is ready to help you with insurance & risk management, business & personal financial planning, retirement planning, estate planning, and more. John Gaessler looked to MidTN Technology when he needed a website that would allow him to communicate important financial information through various media to his clients – and prospective clients.